Cleaning 101 and Mount Care. These steps will be for the simple or most extravagant game rooms for displaying your trophy animals. By using caution with the use of products on the market today Taxidermy Magic is a wonderful mount cleaning tool and Mount Medix is a great way to deal with unwanted pest. 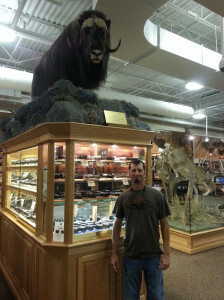 I as well as most people love to show off our trophy rooms and like to keep things clean. Keep your mounts inside at room temperature at all times. Do not place the mounts in a garage or any other area that’s not controlled. This will keep all insects and moths out of the mounts and stay away from anyone doing dry preserve or any other method of mounting that’s not tanned. We tan everything including birds with a liquid water base formula. Keep the mounts way from damp areas, avoid direct sunlight windows , the sun will shine through and over time will bleach the hide or fur making it look very old. Also keep away from any wood burning stove or fireplace that is used every winter this will crack and distort the mount overnight again they are a mount so with the proper care they will last a lifetime. My showroom and all the mounts in my studio get bombed or sprayed every few months with taxidermy magic wait a minute or two and wipe it down this repels beetles and moths, the ones that will do some damage, this will insure the life of the mount. Once every few months I will buy the normal raid bug bombs and set off over night, there’s nothing wrong with doing this it kills household ants spider and ex and the carpet beetles and moths that tend to like anything to do with taxidermy. Now these pest live among us in the timber or grass field. Even the best quality tanning will have issues from time to time along with the most skilled taxidermist, its nothing that we do different these things prey on dead carcass in the timber or even the common house mouse that has passed, if you just follow a few simple steps we have talked about then you will be safe. If you do have an issue with a mount place it in a garbage bag and throw a can of raid in the bag with it and leave it several days get it out dust it off and it will be fine or a air hose for mammals to fluff the hair back up. Any Questions? Give us a call or email us. Thank you.